The two questions — who qualifies as a MVPD under FCC regulations? and who qualifies for the compulsory copyright license MVPDs rely on? — are legally distinct, but closely related. As discussed in the previous post, the FCC had proposed classifying certain “online video distributors” and MVPDs, giving them the same negotiating rights and protections that traditional MVPDs enjoy when negotiating retransmission deals with broadcasters. Even had the FCC gone ahead with its proposal, however, the newly minted online MVPDs would still have needed a license to retransmit the copyrighted programming embedded in broadcast signals. Since the FCC has no authority in copyright matters, it could not extend the compulsory license to the new MVPDs simply by reclassifying them, conceivably leaving the new candidates in something of a legal limbo. Only Congress, which created the compulsory license in 1976, has the power to change copyright law. One would-be online video distributor, however, Aereo, claimed not to need to negotiate retransmission consent from the broadcasters since the design of its system, Aereo insisted, was such that it wasn’t retransmitting anything but merely helping consumers transmit freely available broadcast signals to themselves over the internet. The broadcasters, unsurprisingly, disagreed, and last year, the Surpreme Court agreed with the broadcasters. Aereo, the court declared in a 6-3 ruling, was acting, for all intents and purposes, as a traditional cable system, and on that analogy should be paying retransmission fees to the broadcasters. While that put an end to Aereo, Justice Stephen Breyer’s opinion in the case had the ironic effect of opening the door to the current controversy over the compulsory license. 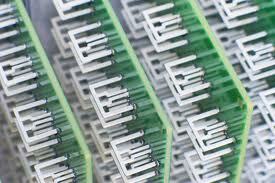 Since the compulsory license was not technically at issue in the Aereo case, the court did not address it. But FilmOn, which had modeled the design of its system closely on Aereo’s, seized on Breyer’s characterization of Aereo as, de facto, a cable system, to claim that it’s look-alike service was also, de facto , a cable system and therefore should be entitled to the same compulsory license that other cable systems enjoy, adding, cheekily, that it was will to negotiate retransmission consent with the broadcasters if it got the license. Judge Wu, in fact, took Breyer’s characterization as tantamount to a directed judgment in favor of FilmOn. Judge Collyer, however, took that reasoning as nonsense in ruling the other way (see Eriq Gardner’s analysis here). Both decisions are now going up on appeal, in different circuits, and starting from diametrically opposed positions, raising the strong possibility of a split in the circuits on the question that only the Supreme Court could resolve. Whether the court has the appetite for dispute is an open question, however. Breyer’s opinion in Aereo was not exactly viewed as a model of legal reasoning in many legal and copyright circles and the court may not want to go there again. On the other hand, the court helped create the current mess and may feel it has an obligation to clean it up. Either way, however, as discussed in the previous post here, online video providers are starting to make significant investments based in part on certain assumptions about the legal and regulatory status of online video, and they won’t be happy if it turns out the assumptions were wrong.